Hey!! Wanna get free spots on the Lianyungang Int’l Marathon?!? We are happy to announce that HeyRunning is an official partner with Lianyungang-Xuwei International Marathon! Lianyungang is the hometome of Monkey King and is famous for its island and beautiful sea view. Registration: Email heyrunning@heyrobics.com for more info! *After you complete the registration, a 100rmb deposited is required. No refund after the dealine if you want to give up your spot. Feel free to email us if you have any questions! We’ll contact you soon! Hey! 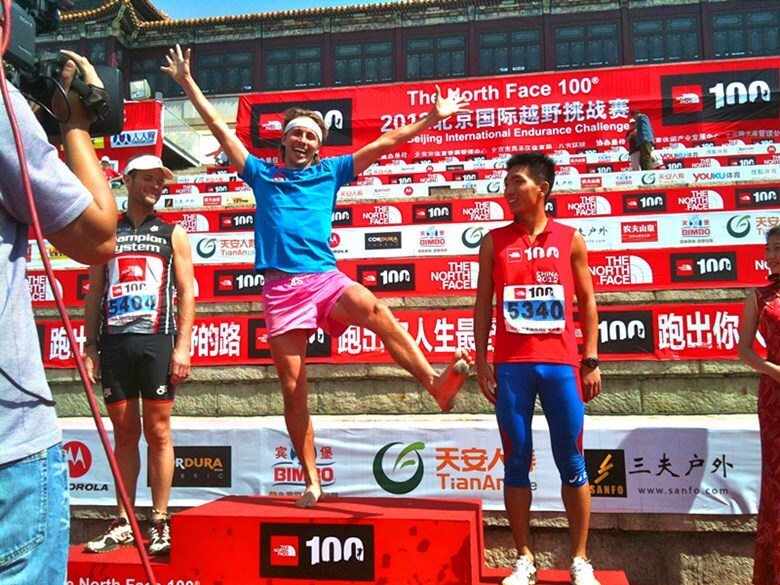 Register Today for Runner’s World 50K in Hebei!! Congrats again!! HeyRunning becomes one of the offical partners with the Runner’s World China 50K Trail Running Grand Prix! Fee: 850rmb, which includes race bag & bibs, insurance, medal, transportations, and hotel accomendations and meals for two nights (4 meals included). If you are interesed in this chance to race and explore the idyllic beatuty of Wuyuezhai, or have any questions about the race, feel free to contact us via email (heyrunning@heyrobics.com) or Wechat (ddddiana) for more information. Facebook Photo Contest #1 – The Hey pose! HEY! Take part in our Facebook Photo Contest! That’s right! Things are getting competitive (+ fun!) here in Heyrobics… We know we have an incredibly creative community and now it’s time to show it! Whoever you are, wherever you are in the world… show us your Hey-Spirit! Take a photo doing a Hey-Pose being as creative as you can! Post it on your Facebook Timeline – make sure it’s public so that we can see it! Mention us on the caption (@Heyrobics)! You have TWO weeks (until July 24th) to post your photos! Winners will be announced on the first week of August. And now to the important bit… What do the winners get?!? Each winner gets 5 free passes to bring 5 friends to any one Heyrobics session that they choose! There will be a special **award ceremony** for each winner during that session!!! Here is an example of the previous winner: the ultimate Hey-lebrity, the master of the Hey-Pose… LINUS! We are so so so excited to see what you come up with! GOOD LUCK! Hey! Subscribe to our Wechat! It’s in Chinese AND English! Did you know that we have a Wechat account? Did you know that it’s in both Chinese AND English? Did you know that we post there all the latest news about the Hey world? Did you know that we use it to share the funniest pictures of our instructors doing push-ups and happy jumps? Did you know that our amazing interns Bea and Clarke are updating it (almost!) daily? Subscribe! It’s easy and FREE! WeChat ID: Heyrobics OR! Scan the QR code here below! Please registrate on the race website first and then pay to HeyRunning, as we are one of the official partners with Chongli 100. Hey! We have been nominated! 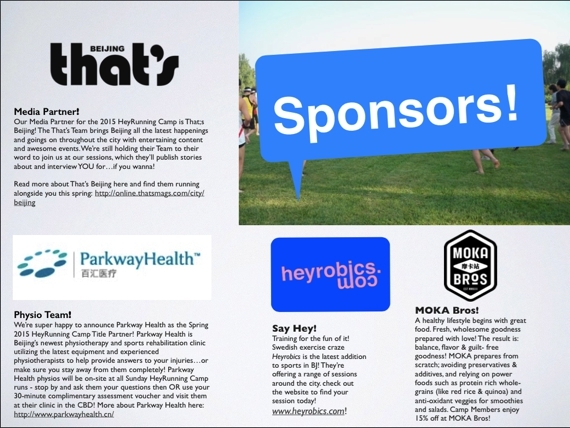 Heyrobics and HeyRunning have been nominated as one of the best Fitness Community Groups by That’s Beijing! We are not sure about being the best – but we are the PINKEST for sure! Do you feel the same way? Then let the World know by voting via this link! Also – please help us spread the love and let all your friends vote for us! We promise we are going to hold a FUN and SWEATY Hey party if we win! And PSSST it’s going to be FREE for everyone! 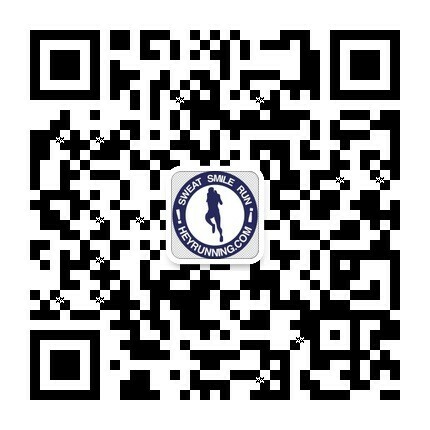 June 21st Shenquanxia Trail Adventure Race in BJ! Limited Spots! June 21st: Shenquanxia (Beijing) Trail Adventure Race! 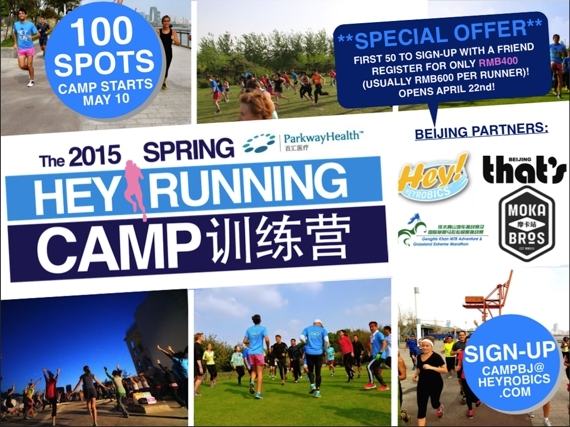 The powers that be have opened up 30 spots to the HeyRunning community in the first ever Shenquanxia Trail Adventure Race on June 21st, 2015 in Beijing!!! It’s about time to get off the roads and into the hills to see a side of Beijing not many get to! You with me???? Race distances include 42K, 21K, and 10K, so there’s something for everyone. And top 18 men and top 12 women in the half and full marathons get prizes (that is, if you needed any other reason to go). Registration fees are below! Email heyrunning@heyrobics.com for more details and to register today! Registration closes Wednesday, May 27, 2015 and space is limited so don’t wait! Hey! Register Today for Runner’s World 50K in Yunnan!! 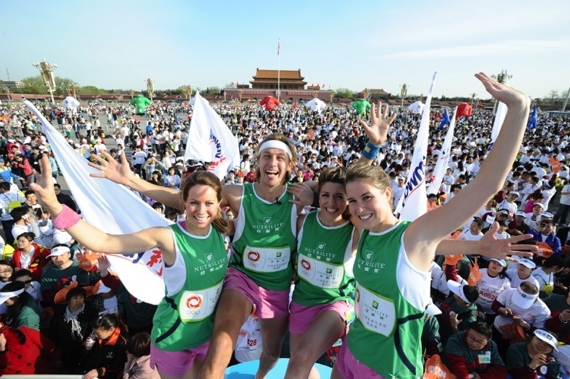 – 800rmb, which includes race bibs, insurance, medal, and race day transportation. – 1200rmb, which includes race bibs, insurance, medal, race day transportation, and hotel accomendations for two nights (4 meals included). *Registration does not include round-trip tickets to and from Yunnan. If you have friends or family who want to travel with you, they can sign up for 500rmb and the race organizer will also arrange their meals and accomendations. If you are interested in this chance to race and explore the idyllic beauty of Yunnan, please contact us via email (heyrunning@heyrobics.com) or Wechat (ddddiana) for more information on how to register. 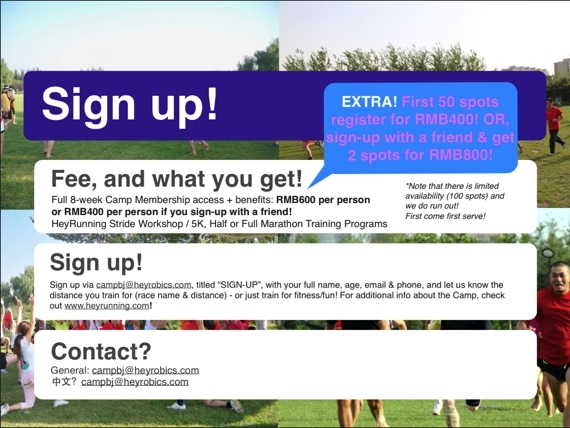 Spring 2015 HeyRunning Camp 2, Registration OPEN!!! Hey! Registration for the Spring 2015 HeyRunning Camp 2 JUST opened – only 100 spots available so sign-up fast to reserve your spot! How do I sign-up? FILL OUT the registration form HERE! 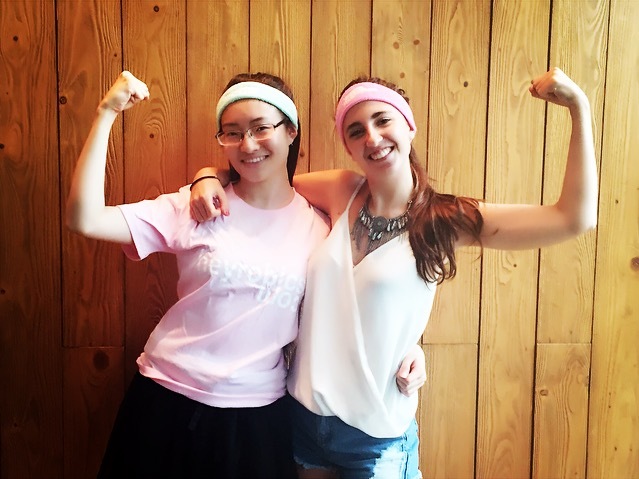 Sign up with a friend or check out That’s Beijing for special offers! Where can I find MORE INFO about the Camp? 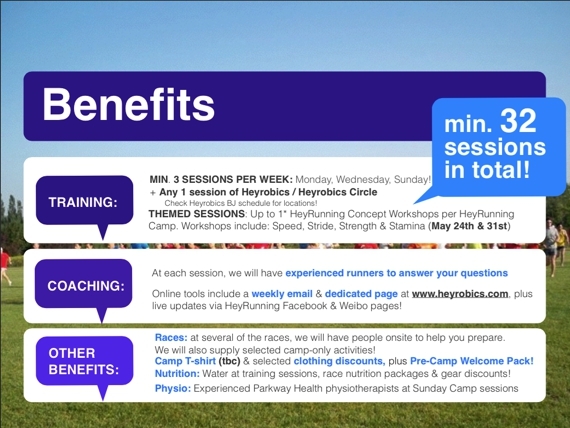 Check out the BJ HeyRunning Camp page or download the full HeyRunning Camp brochure HERE! Wanna try out a HeyRunning session before signing-up? Super! Check our weekly schedule HERE to find out when & where we’re running! Send any questions to campbj@heyrobics.com! Add HeyRunning on WeChat for the latest schedules and updates!!! Sunday, April 26 Rooftop Cookout @ The Hutong!!! What! Salads, hummus, meat & veggie kebabs, a beer for each hand & MORE! When! Sunday, April 26, 2015, 11:00-13:00ish!